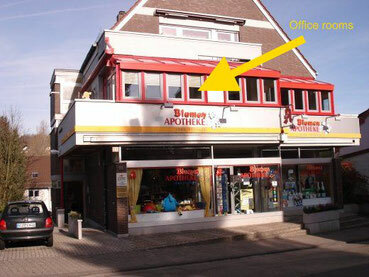 The practice is conveniently located directly above Blumen-Apotheke. Our waiting rooms provide access to the balcony where you may enjoy a breath of fresh air if the weather is fine. Except for the rooms for eyesight / hearing tests and ultrasound all waiting and treatment rooms have natural lighting.